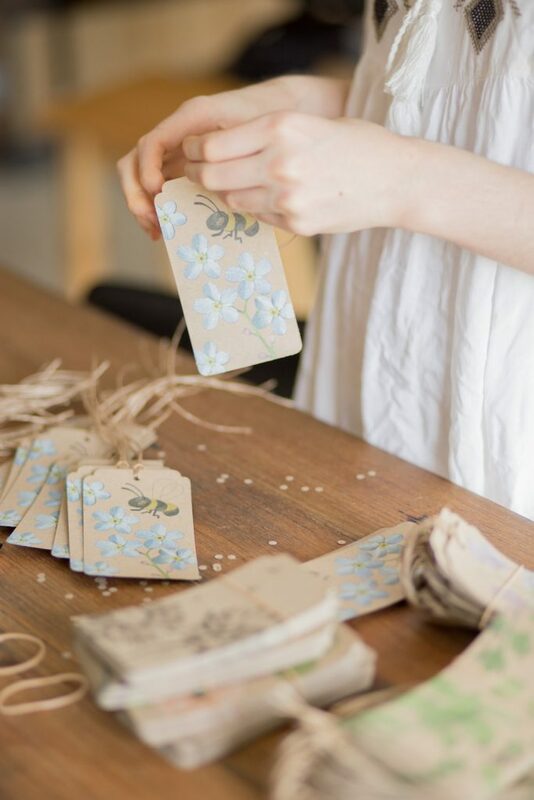 Jess and I have had fun the past few days making this little Flower Pressing video! We hope you like it. 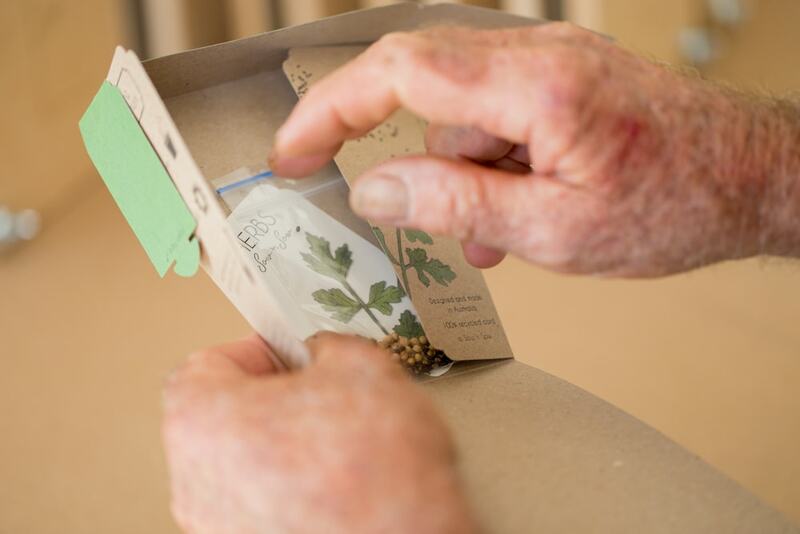 We’ve included some Flower Pressing instructions in the post below the video. 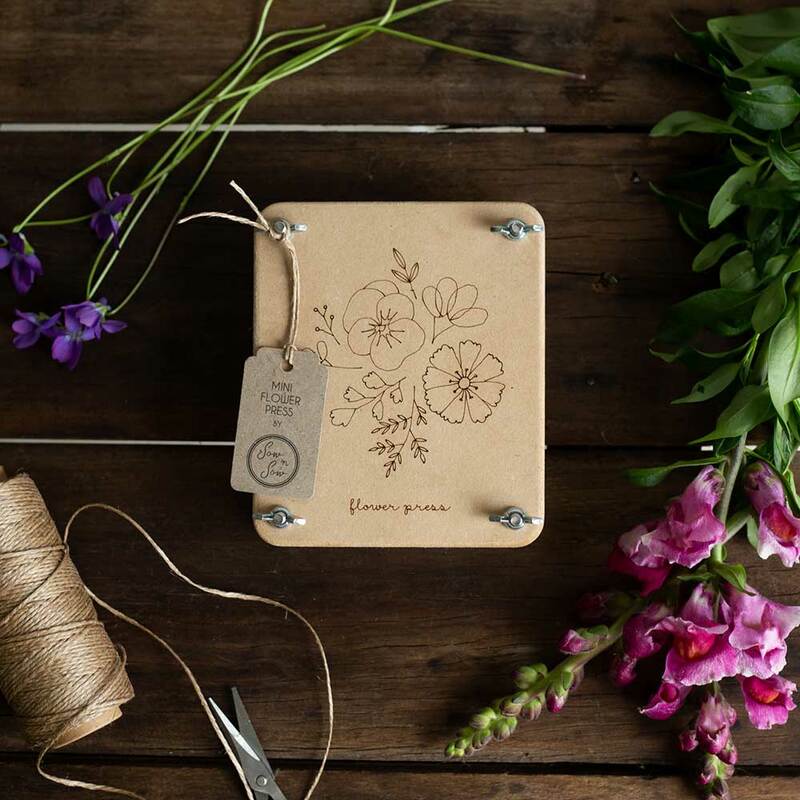 Pressing Flowers is a craft that has been around since the Victorian era when it was used for preserving plant specimens. 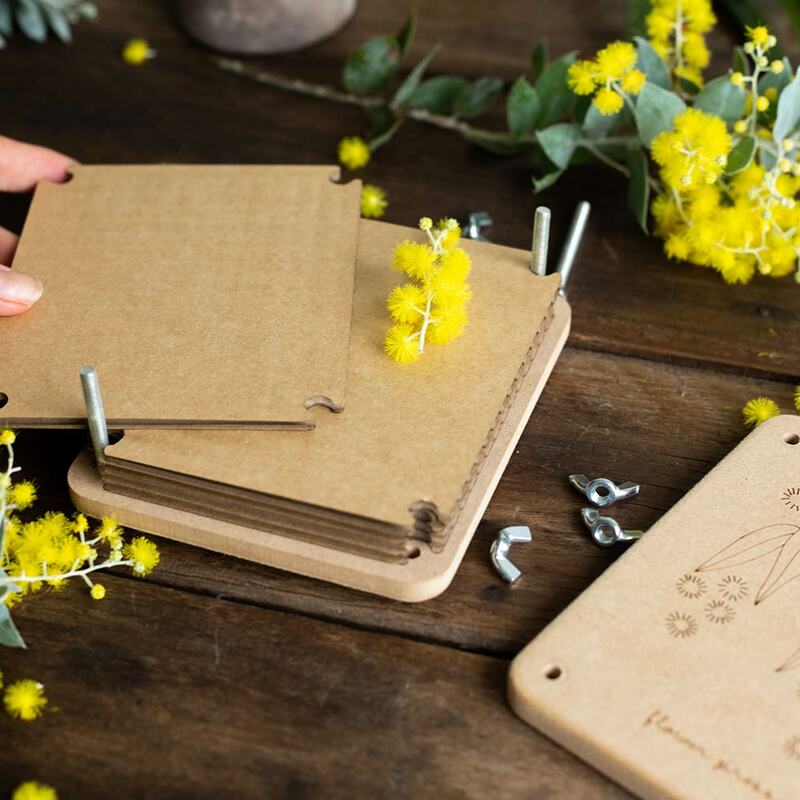 Our Flower Presses are hand crafted here in Australia by our very own craftsman! 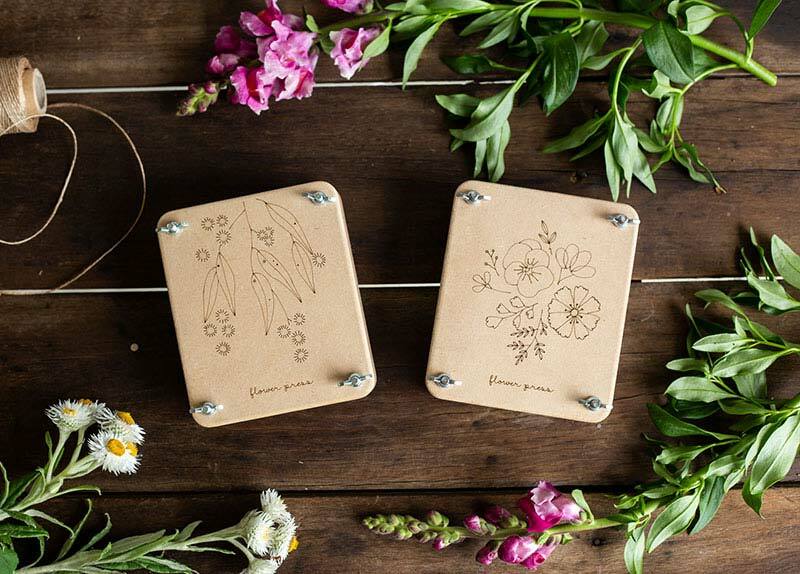 We have four beautiful Flower Presses available, check them out in our shop here. 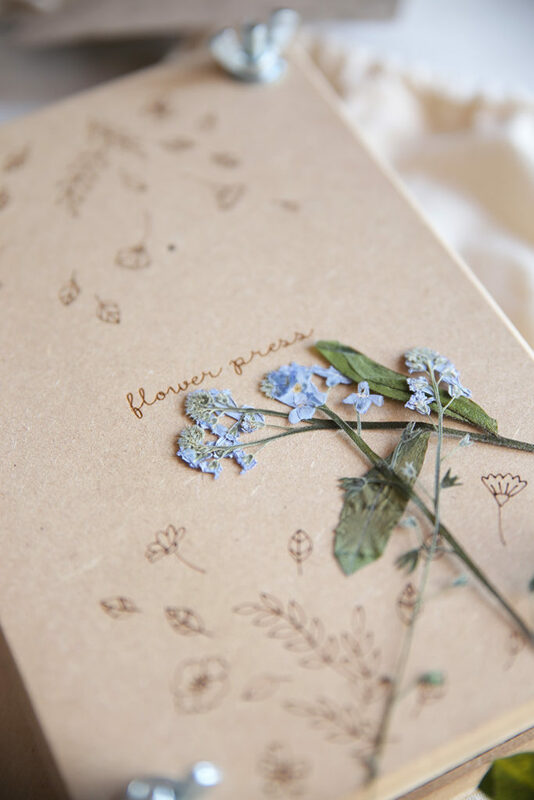 You can press flowers which have special meaning such as blooms from wedding bouquets, flowers from grandmas garden or flowers given to you from someone special. Pick your flowers and leaves! The best time to pick is during a warm part of the day when the blooms will have the least amount of moisture. Remember that you are flattening the flowers, so avoid flowers with big thick cores such as roses as these won’t flatten so well. You can cut thicker flowers like roses up into sections, or even just press the petals on their own. 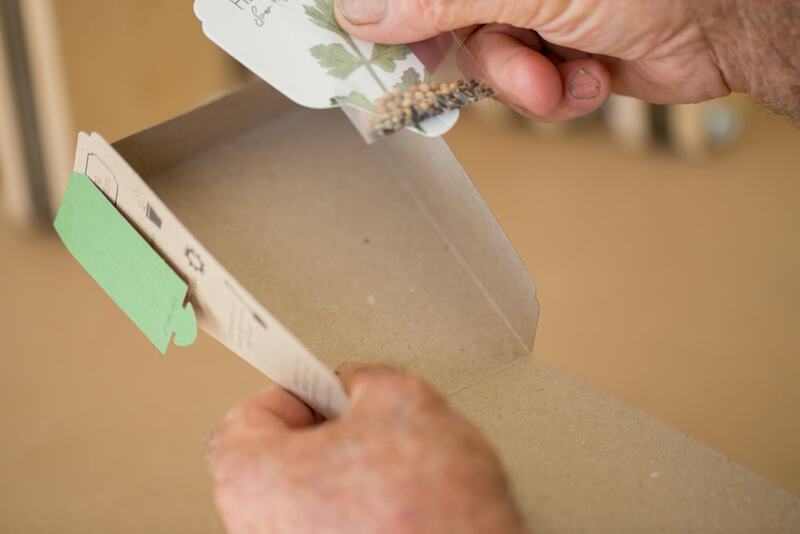 We like to use sheets of paper between the cardboard layers in our flower press. 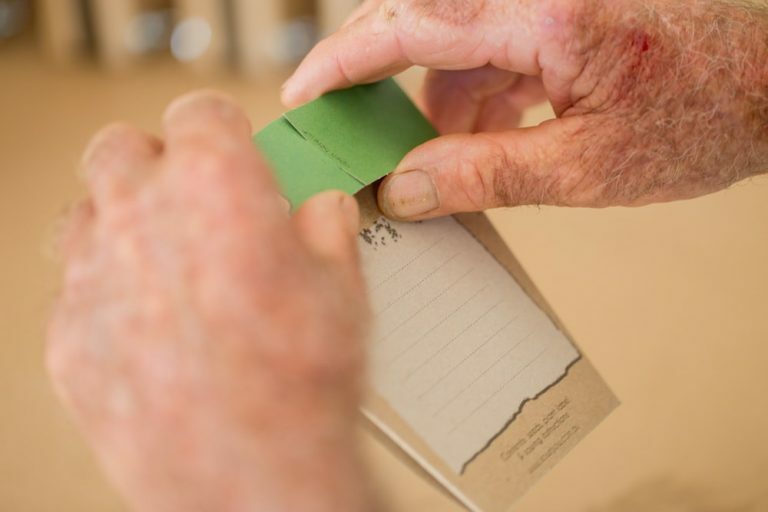 The press will work beautifully without them, but the paper will keep the cardboard clean for many years of pressing, and it will help with absorbing the moisture in the flowers. 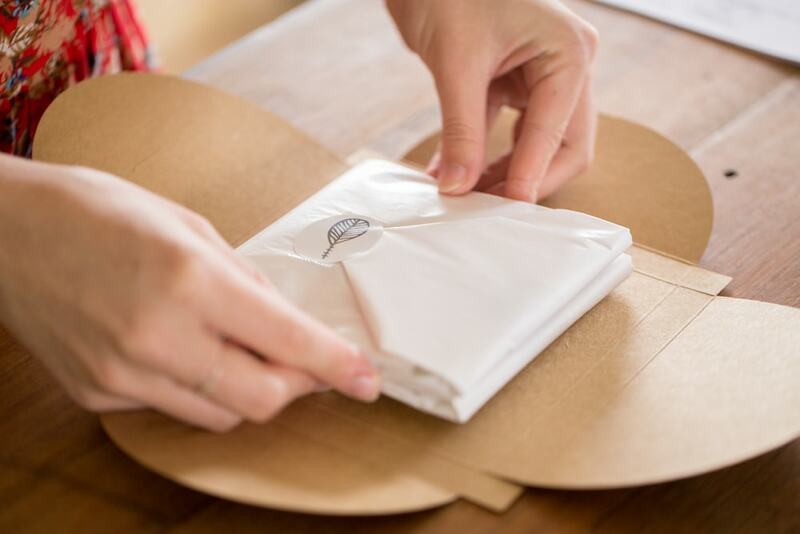 Pick clean paper, preferably one that is slightly absorbent such as craft paper or paper from a drawing pad. Trim your blooms and arrange them between the layers of cardboard and sheets of paper. You can fit as much as you like between each layer. Try not to overlap any of the petals or leaves to avoid them sticking together. Put all the layers back together and screw the wing nuts back into place. You might have to push down on the press to get the wing nuts back on! Make sure the press is screwed down nice and tight. Keep your press in a cool, dry place for at least 2 weeks. After 2 weeks you can have a look but if the flowers aren’t fully dry then leave them for a while longer. 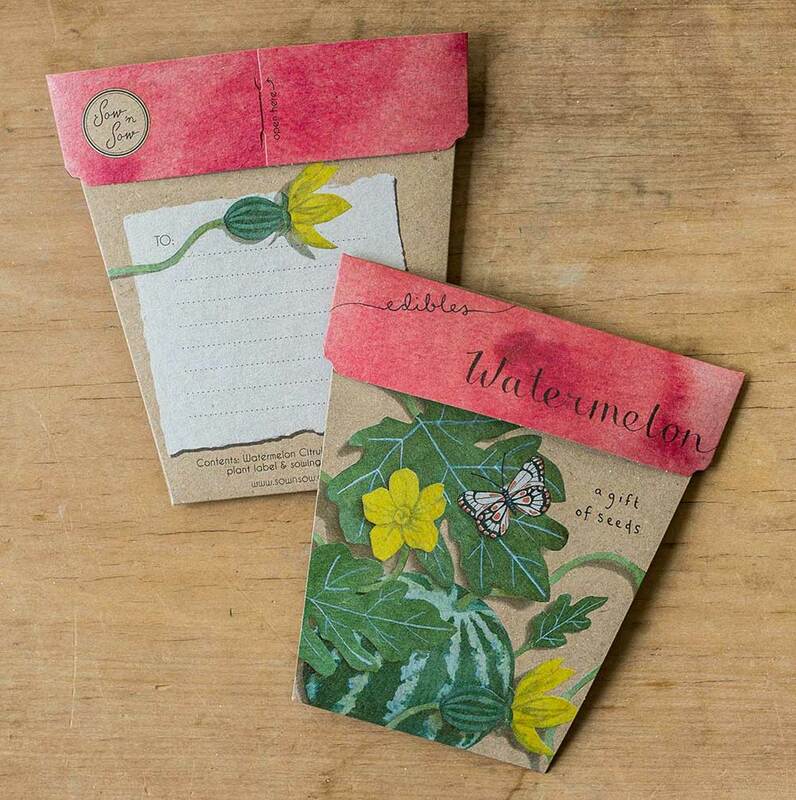 Flower Pressing is a craft and one that will produce varying results each time you do it. Sometimes the flower colours are vivid and stunning, sometimes they’re more muted and soft. Some flowers will come out perfectly, others may not be worth keeping. Try to put as many different flowers and leaves in the press each time so you have lots to play with when they’re ready. 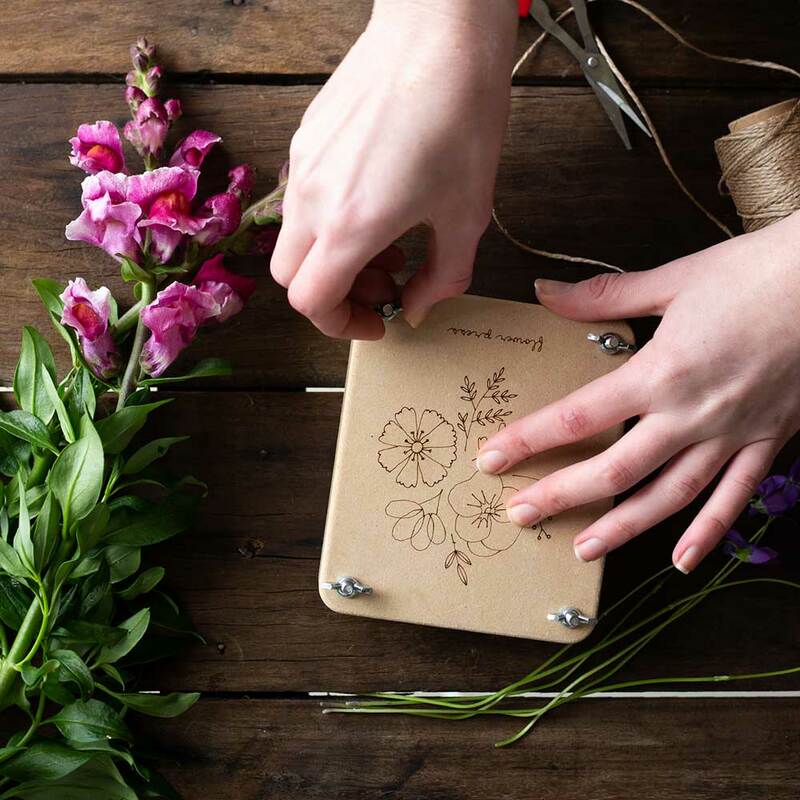 The joy is in the experience so take your time, enjoy picking the blooms, arranging them in your press and then revealing the pressed beauties when you remember to check on them. 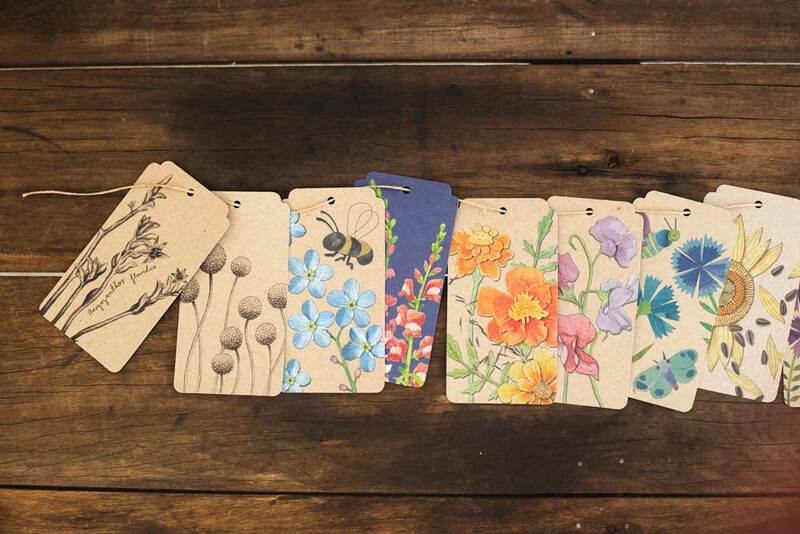 What to do with your pressed flowers? My favourite thing to do is make greeting cards with them! 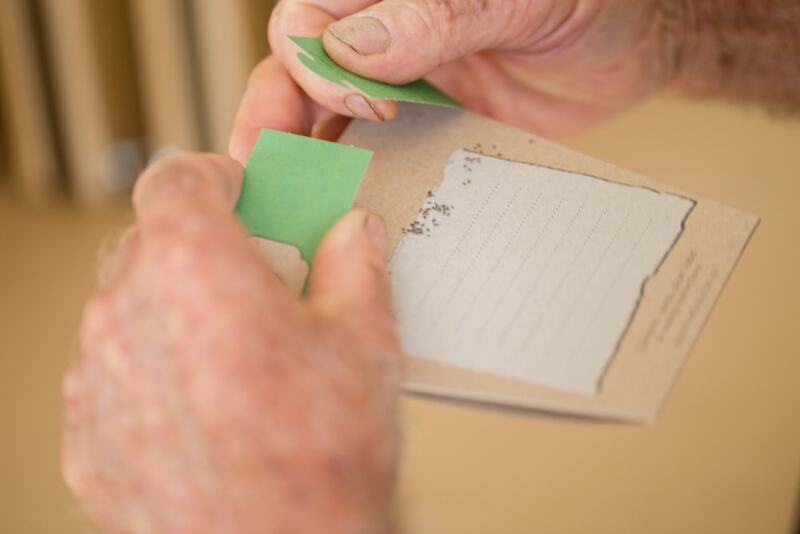 Fold a piece of card in half then arrange the flowers on the front with a little bit of craft glue. 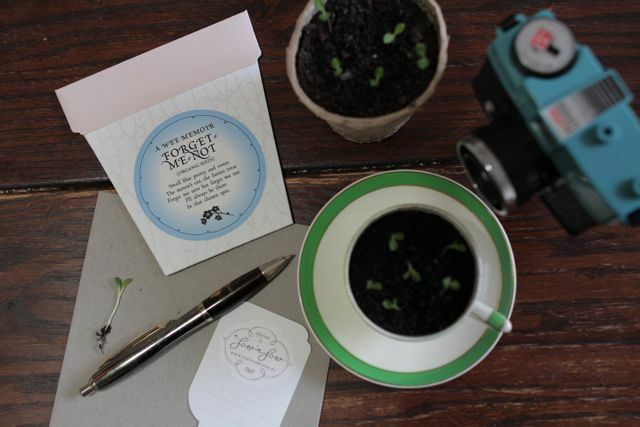 Another lovely idea is arrange them in a picture frame for a beautiful artwork. Really it is totally up to you, get creative! We are now 9 years into Sow ‘n Sow’s life and what an adventure it has been. I realised that there may be many new members in our community that do not know me and I wanted to introduce myself as well as explaining why and how Sow ‘n Sow came to be. First of all, hi! 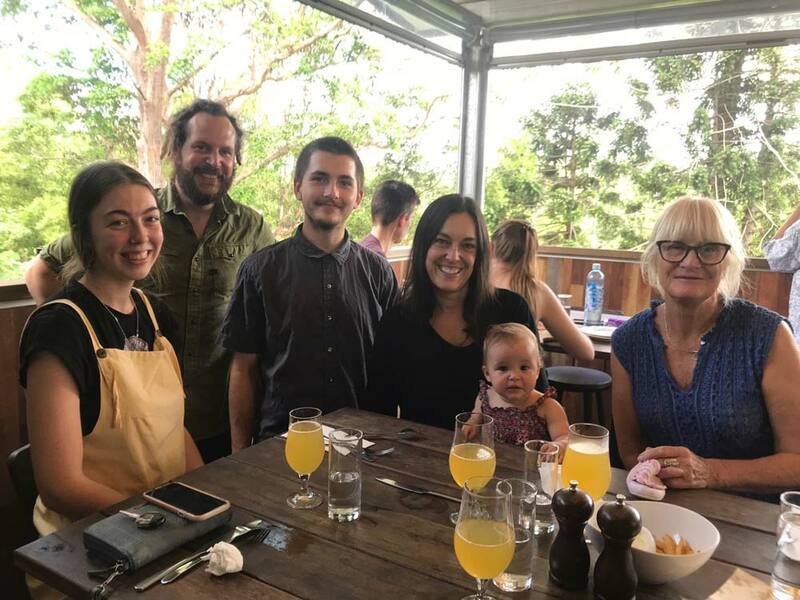 I’m Michelle, and I live in the Sunshine Coast Hinterland town of Maleny with my partner Nick, our 2 young daughters, fur baby Maude some chickens and a hive of bees. 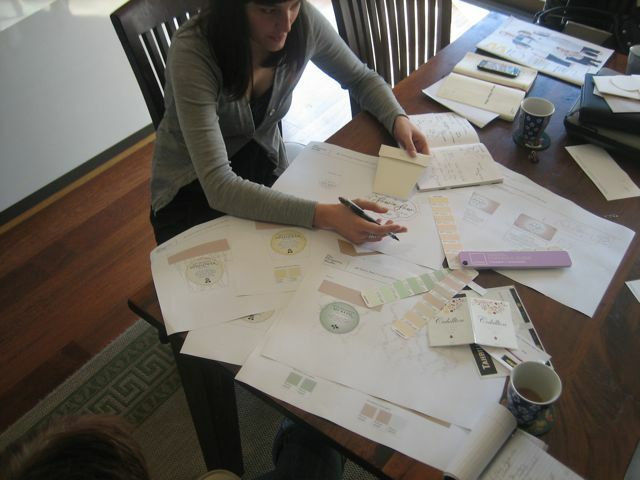 Sow ‘n Sow is my little business, started back in 2010 which keeps all the cogs turning in our life. 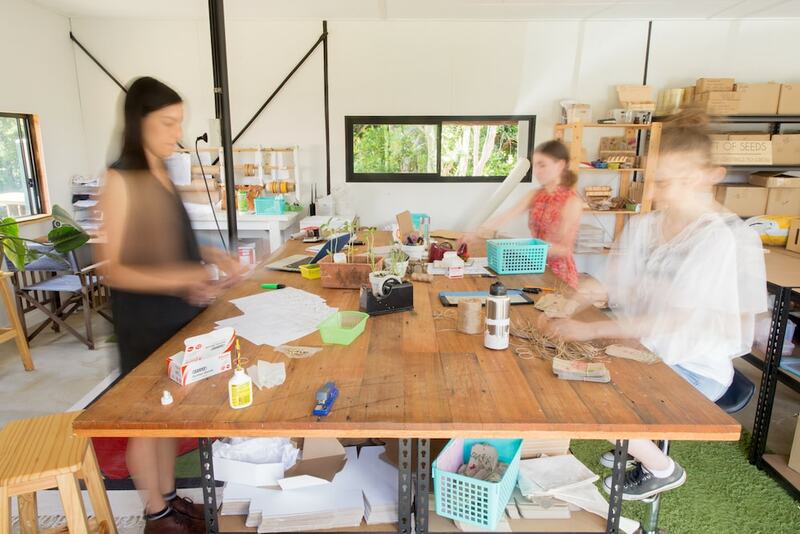 We currently run the business from an old shed that has been converted into our studio. Garage doors were swapped for sliding doors and a new floor, roof and wall lining transformed it into a beautiful light filled space overlooking the garden. 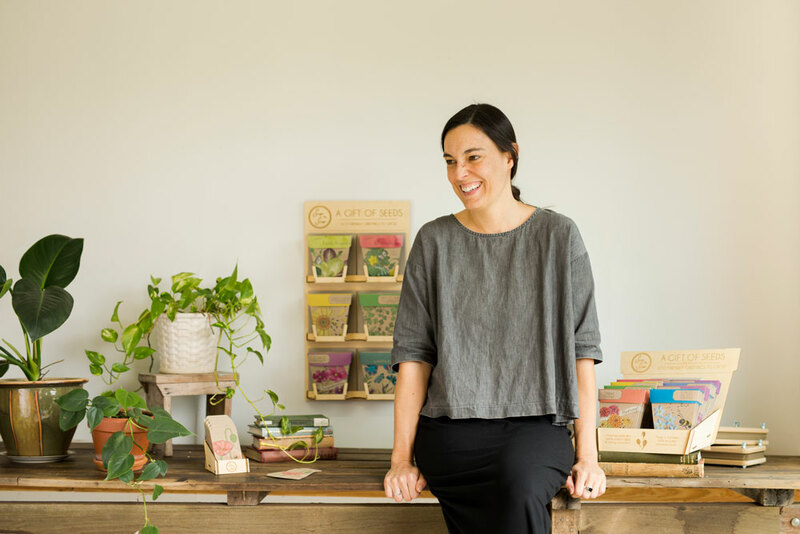 Sow ‘n Sow is run by myself and Jess who’s my main wonderful employee! 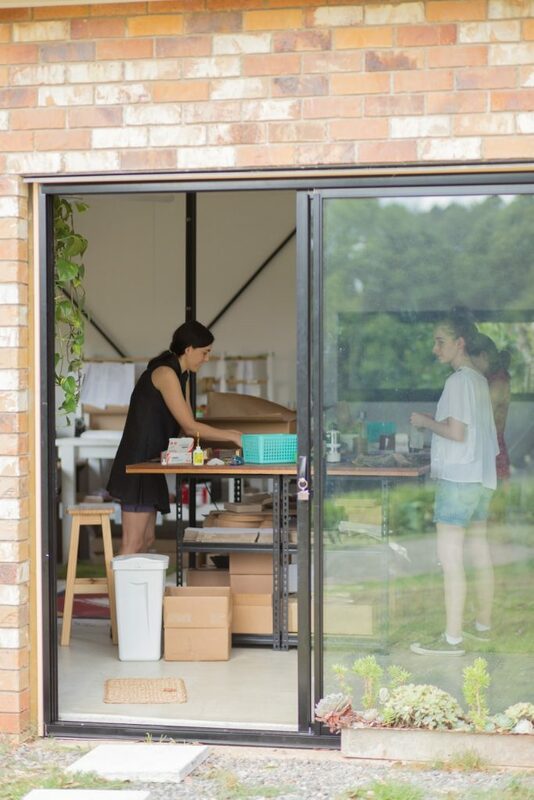 Jess does most of the day to day running of the business now which allows me to juggle being a mum whilst also focusing on new product development, marketing and dreaming up awesome ideas for my garden! 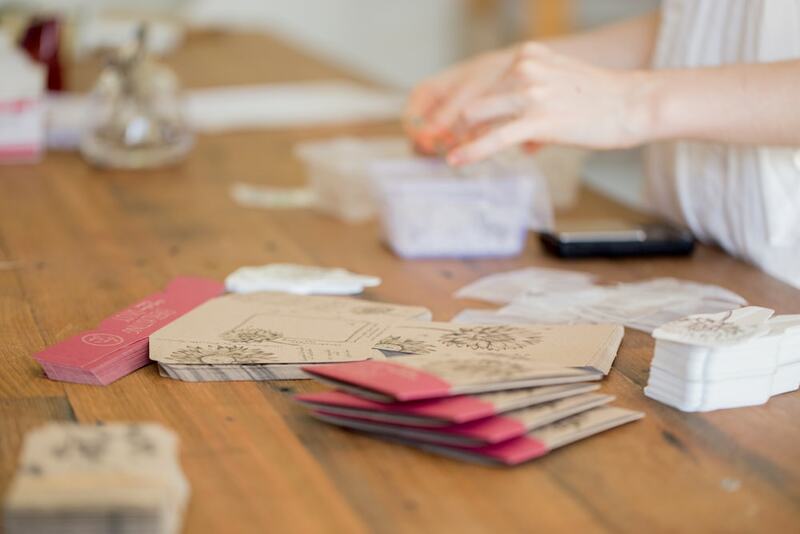 We employ other casuals as needed including Jordan who puts together most of the seed packages and Flower Presses, and Louise who steps in when we need another set of hands to get through the day or the week. Nick is chief of payroll & book keeping amongst other things! 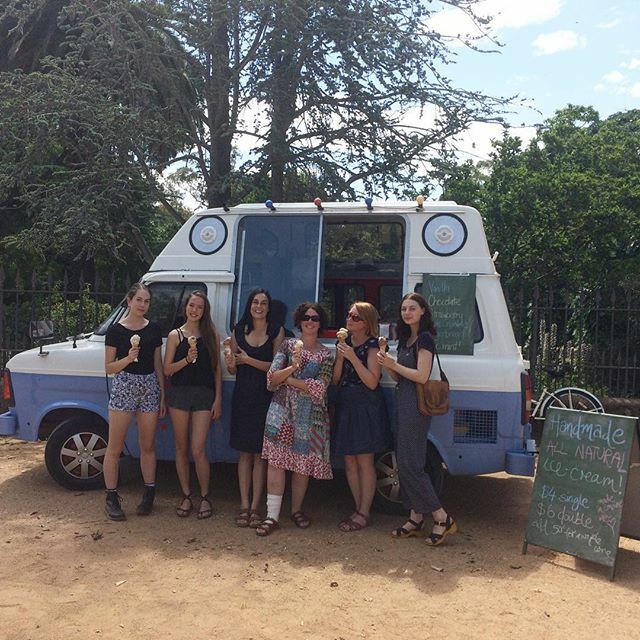 The Sow ‘n Sow team, from left Jess, Nick, Jordan, Michelle, Freya and Louise. 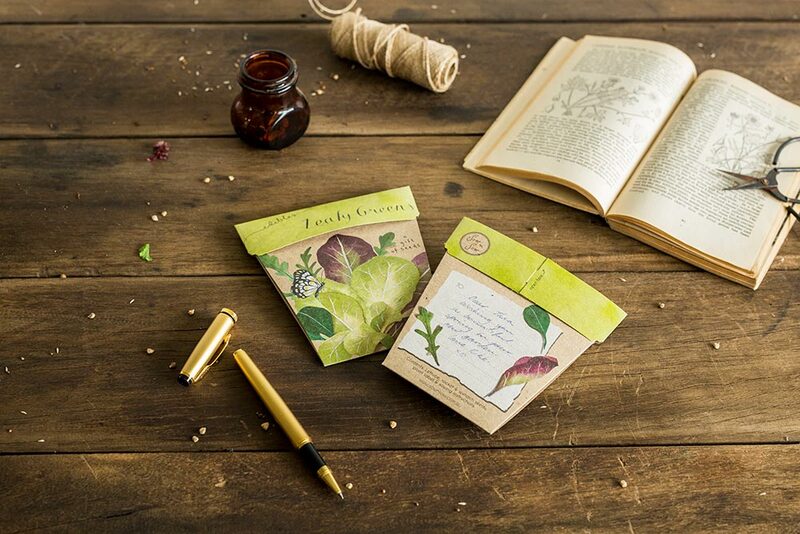 Our main line of products is our Gifts of Seeds – a greeting card and gift that grows in one beautiful package. 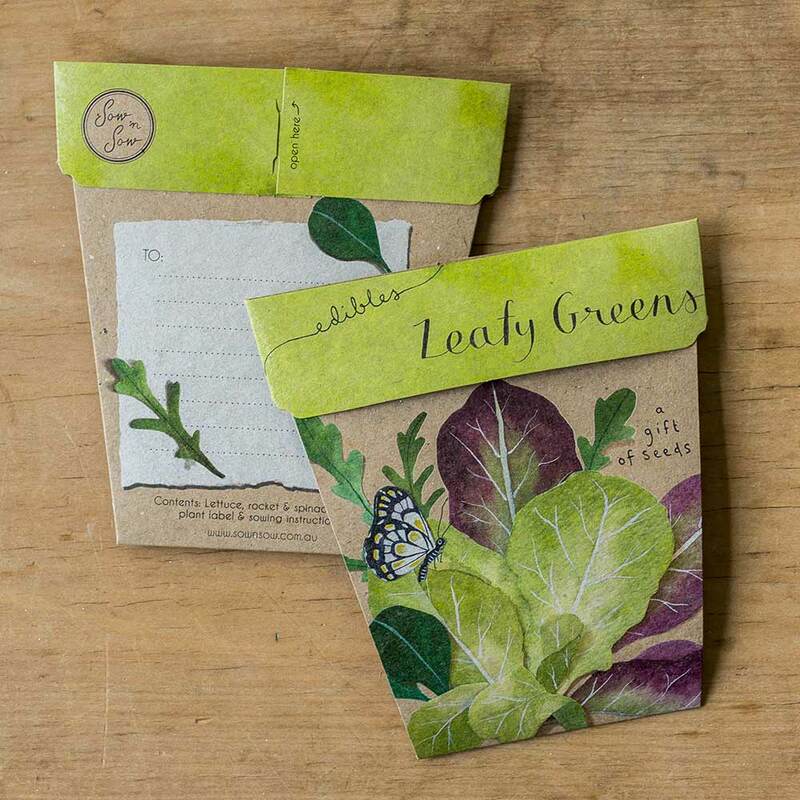 We started with just 2 Gift of Seeds varieties back in 2010. 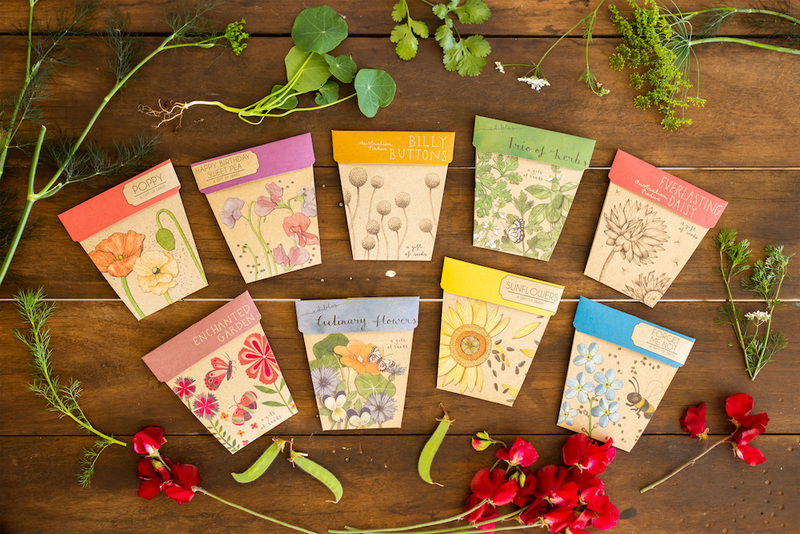 We now have 26 seed packet designs and more on the design table at the moment. 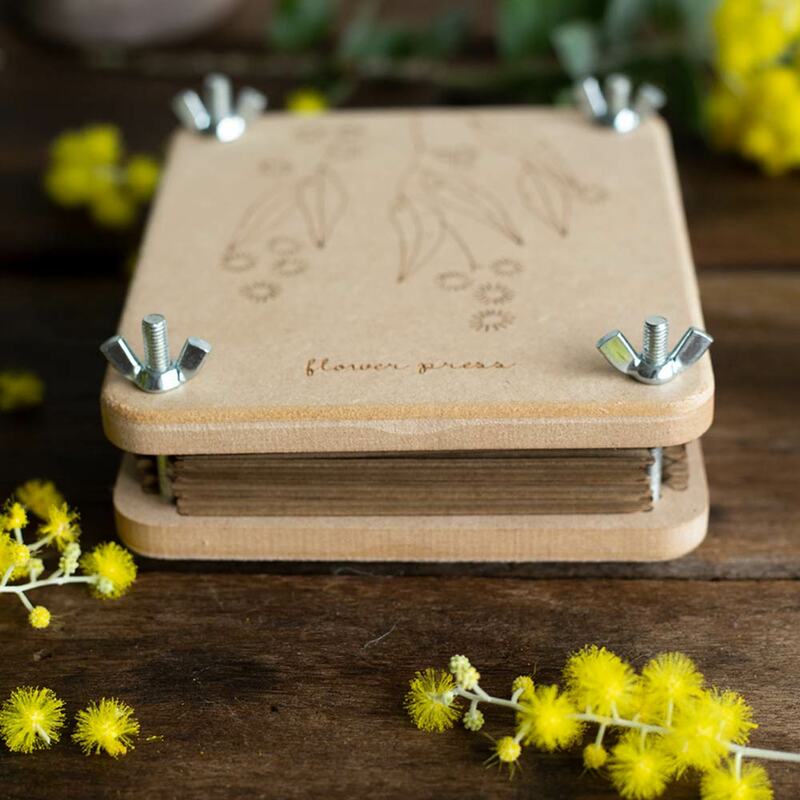 In 2014 we added one Australian made, hand crafted Flower Press to our collection and we now have 4 styles including our gorgeous mini Flower Presses. 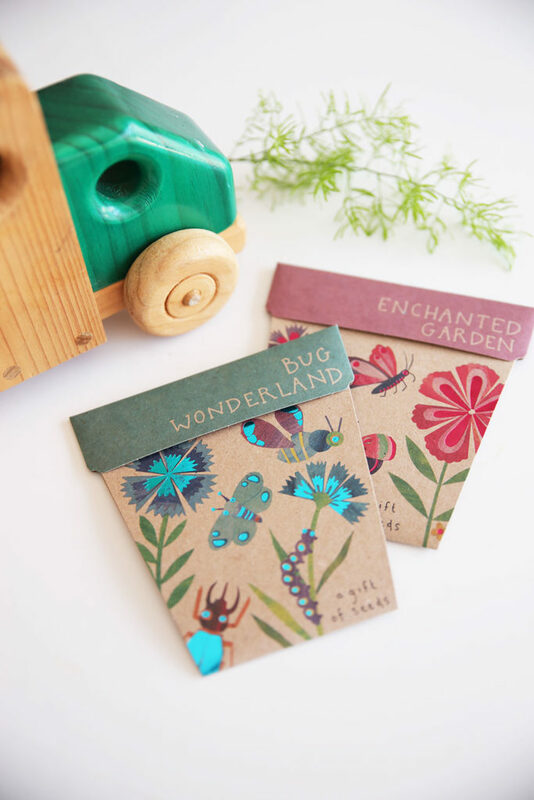 We sell bright recycled kraft gift tags which have the illustrations from our seed packets and compliment our range of gifts. 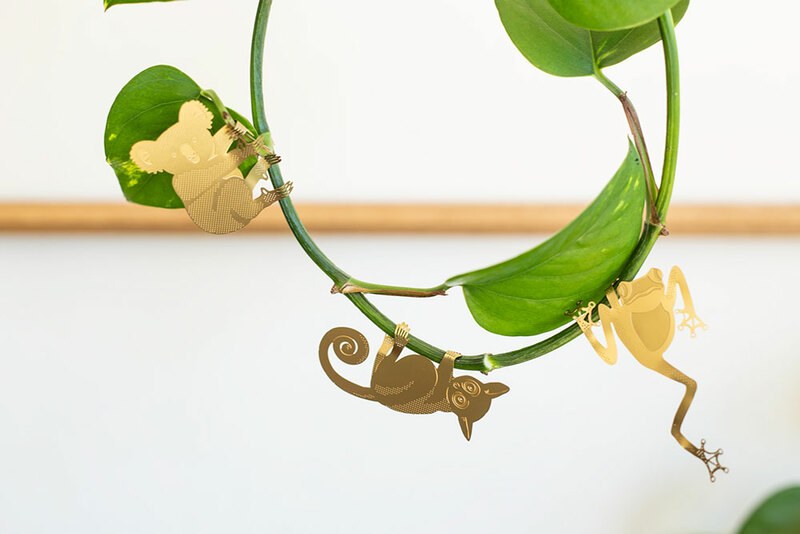 And we distribute a few other products that relate to plants and gardening, such as our Plant Animals which are sourced from the UK that clip on to your plants which are very cute! 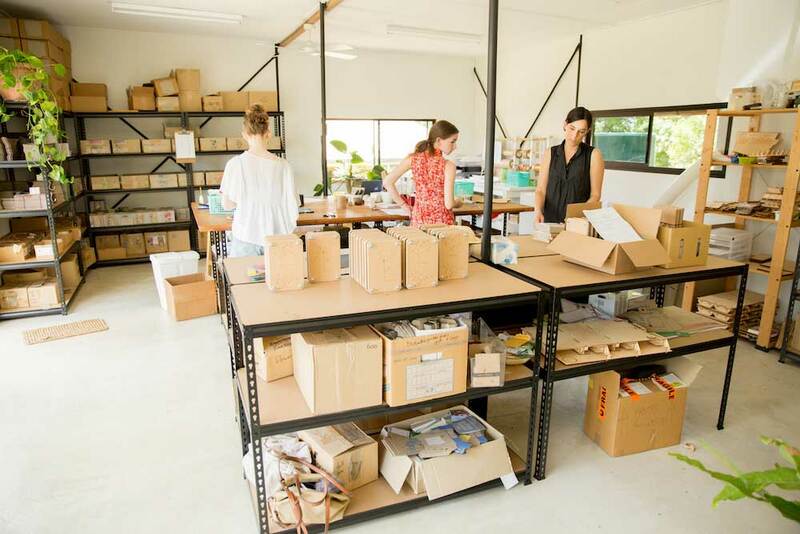 Our core business is wholesale sales into Gift Shops, Eco Retailers, Book stores, Nurseries and Florists. 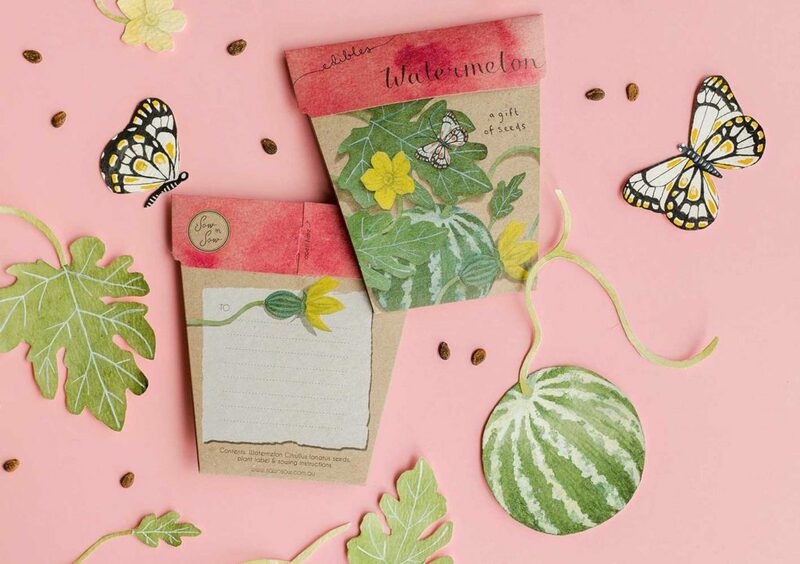 We sell directly to customers through our website and phone, and we have a custom design service where our Gifts of Seeds can be fully customised for corporate promotions and special events. Over the past 9 years we’ve done custom designs for some amazing clients including the City of Sydney, Stephanie Alexander, Blackmores and Audi Australia to name a few. 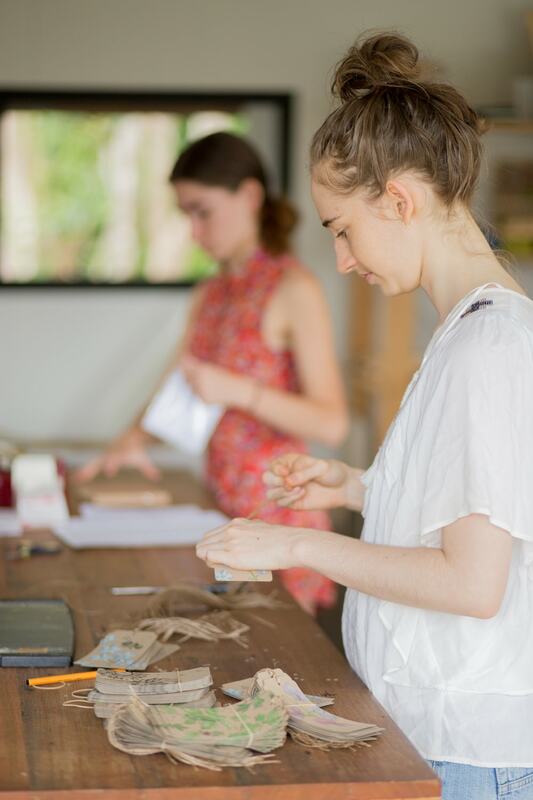 We’ve always strived to be an eco friendly business, producing products using sustainable materials and producing a minimal amount of waste. 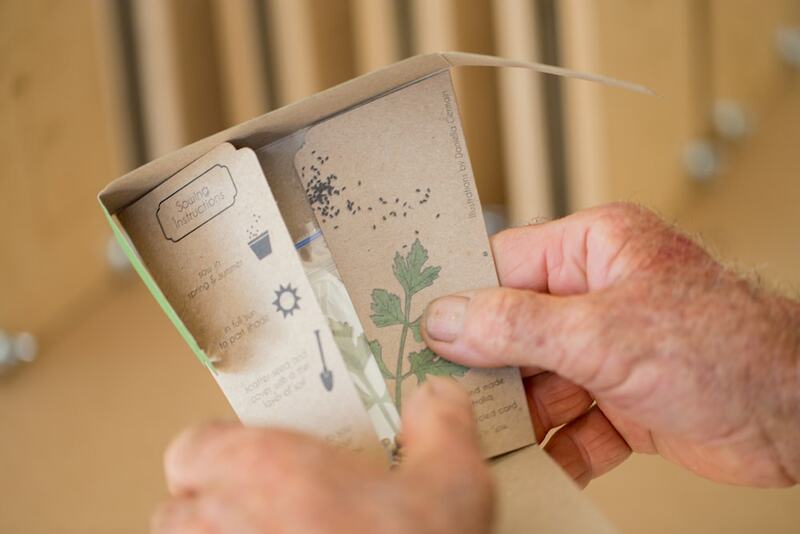 Our Gifts of Seeds are printed in Australia on 100% post consumer waste recycled card. 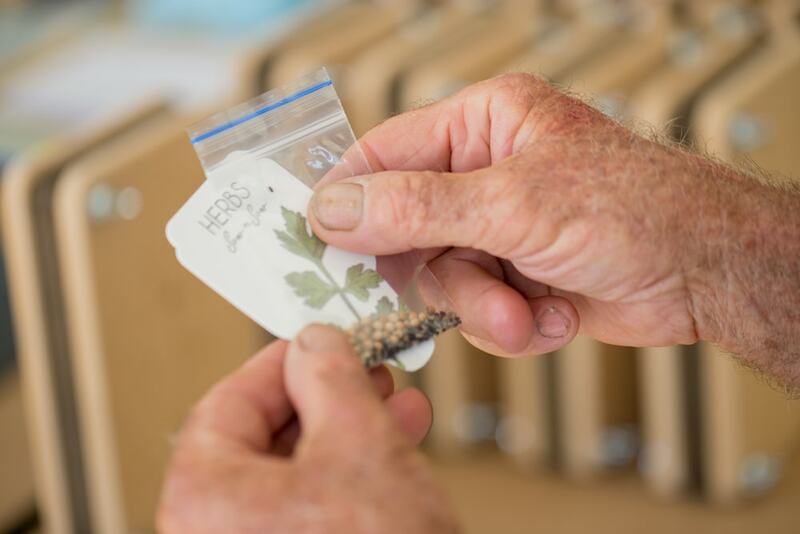 The production of our products is all based in Australia, even the envelopes provided with our Gifts of Seeds and the plant labels enclosed are made in Australia. 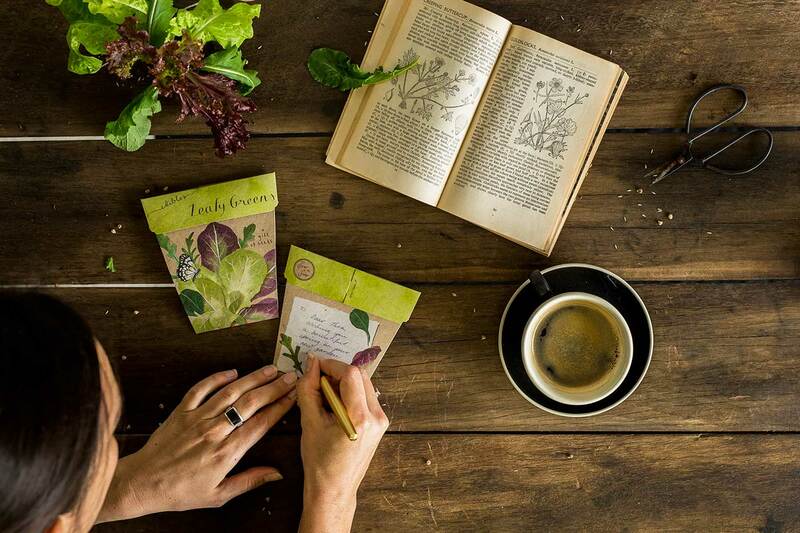 How did Sow ‘n Sow come about? The initial inspiration came from the fact that I wanted to be in control of my life, not being restricted by the standard 9-5 work life. I started working full time when I was 20 years old, working for Channel Nine in Brisbane and then the ABC, before moving to London and working in branding and advertising for a few years. I enjoyed my career but I wanted to be in control of my daily movements. I knew I wanted to have kids so I set about creating a life where I could have an income as well as complete flexibility day to day. 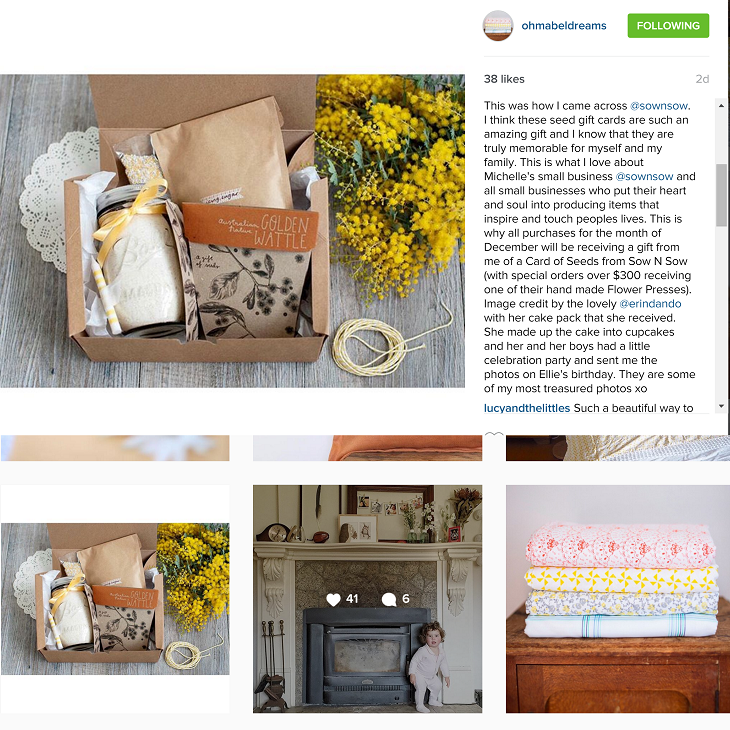 Initially it was hard to come up with a business concept – there are so many beautiful products that it seemed overwhelming to come up with something original and with purpose! I have always been creatively driven and have a passion for design. When living in England I found comfort in the small green courtyard we had outside our bedroom and began buying flowers and plants to fill it with. This is where my passion for gardening really began. 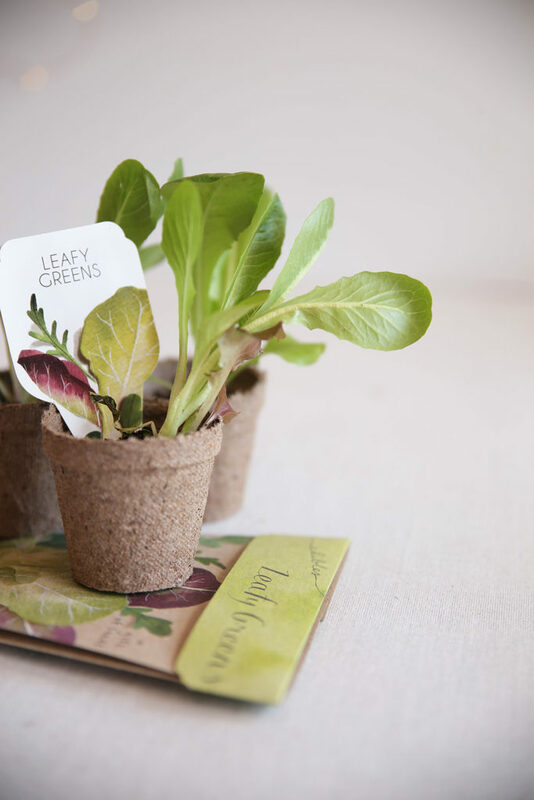 There I discovered the joy of watching a seed grow into a plant and I found that truly amazing and very fulfilling. Nick and I moved to Melbourne where the gardening interest grew in our little Northcote courtyard. 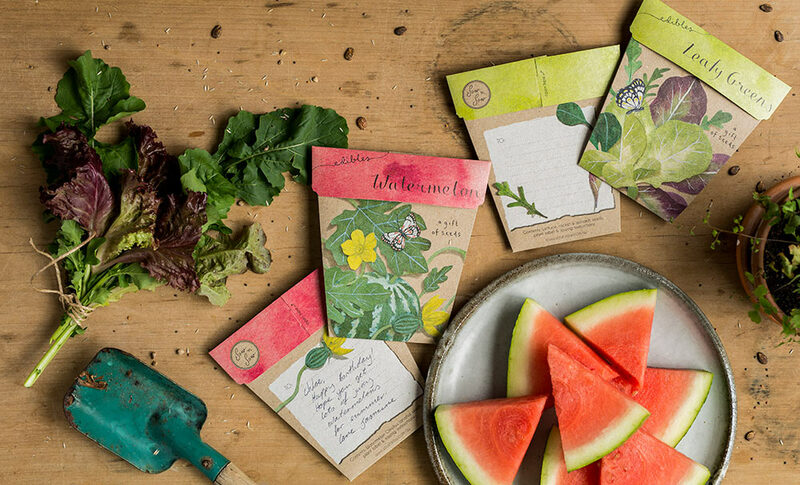 I began gifting my friends packets of seeds as gifts to share my own joy of gardening and by this point I had been trying to develop a business concept for some time. 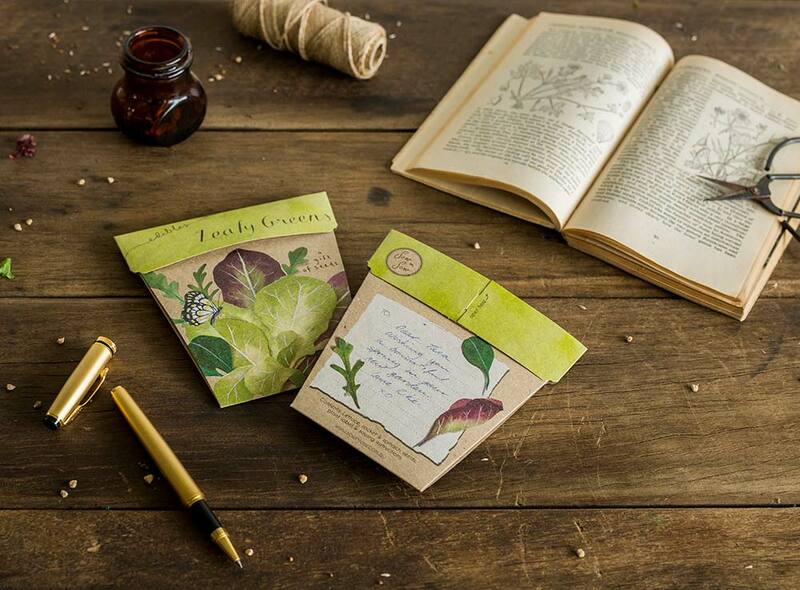 When I realised that they were all loving the seeds I thought there could be a business concept there. I sat on the idea for a while then dismissed it as being silly, mainly because I’m not a graphic designer and also because I was afraid that it wouldn’t work. A while later I came back to the idea and decided to just give it a go anyway, resigning to the fact that if it failed I’d surely learn something along the way and at least my desires to do something would be fulfilled for the time being. 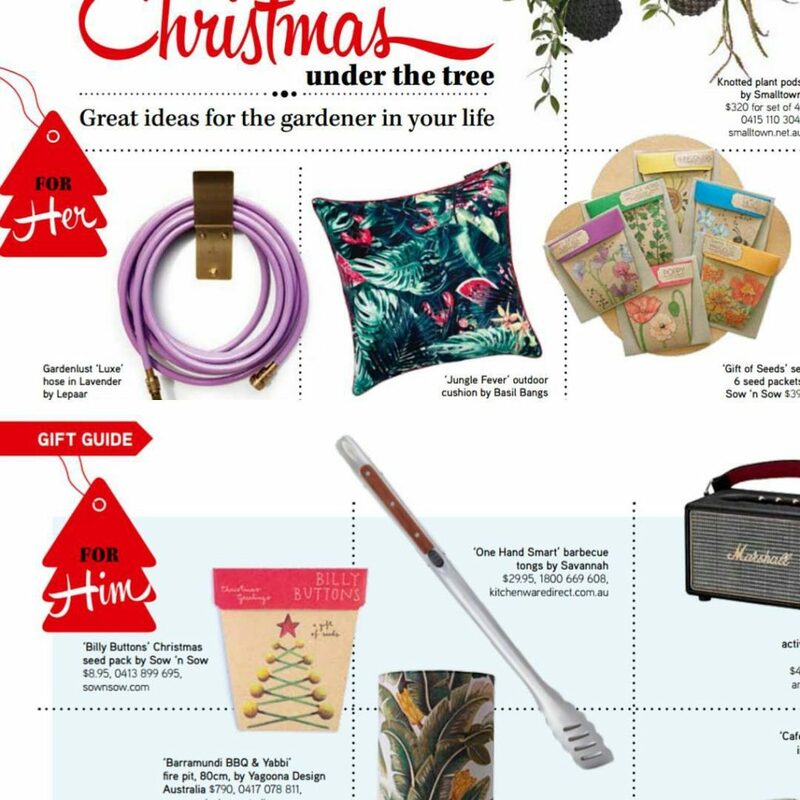 I literally knew very little about gardening, hardly anything about seeds and absolutely NOTHING about the gift and homewares industry. But I did know a fair bit about design & printing having worked in creative advertising agencies for a few years. So I teamed up with a friend, Rochelle Sanko who’s design work I admired, and her business partner Jodi Shepherd and together we produced the first 2 Gift of Seeds designs – Basil and Sunflower. 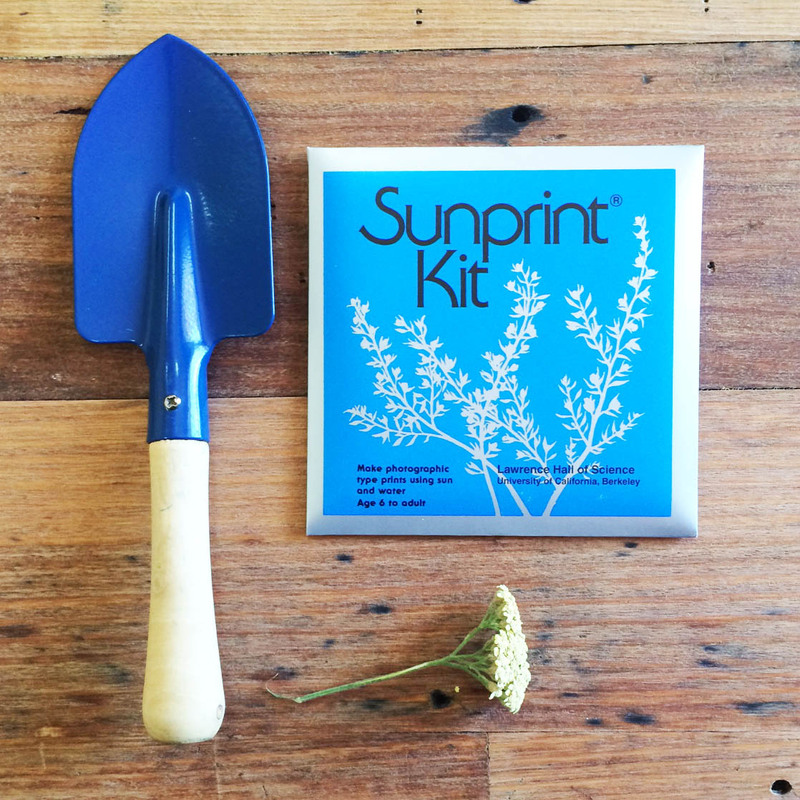 I had these printed then started dropping samples into gift shops around Melbourne and that way found my first few stockists. 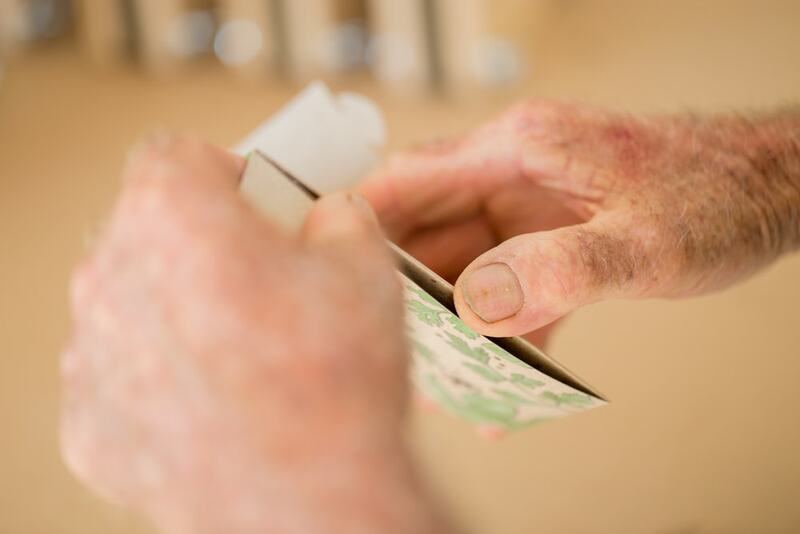 These old designs had to be hand glued and each packet required the application of 3 labels, so they were very labour intensive! 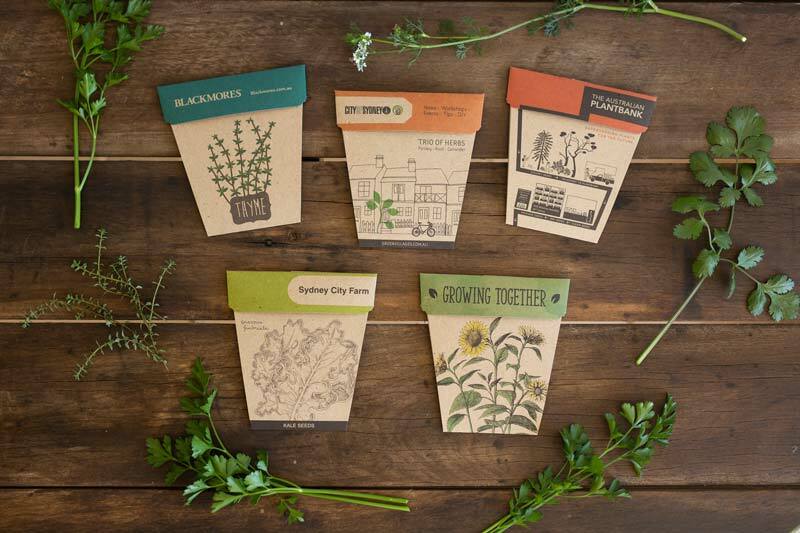 We ended up with 6 varieties in the original range of seed gifts. 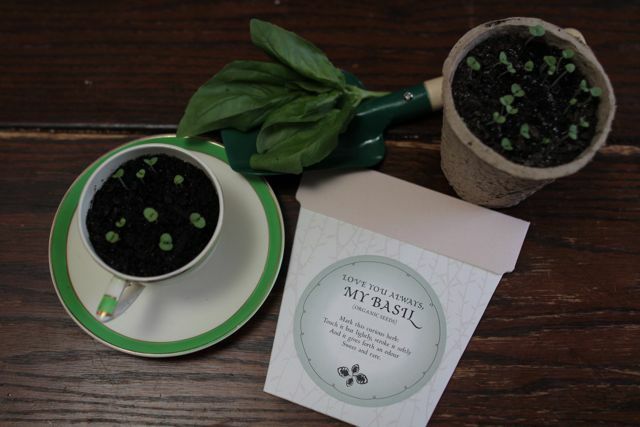 One of the first Gift of Seed designs we produced ‘My Basil’. 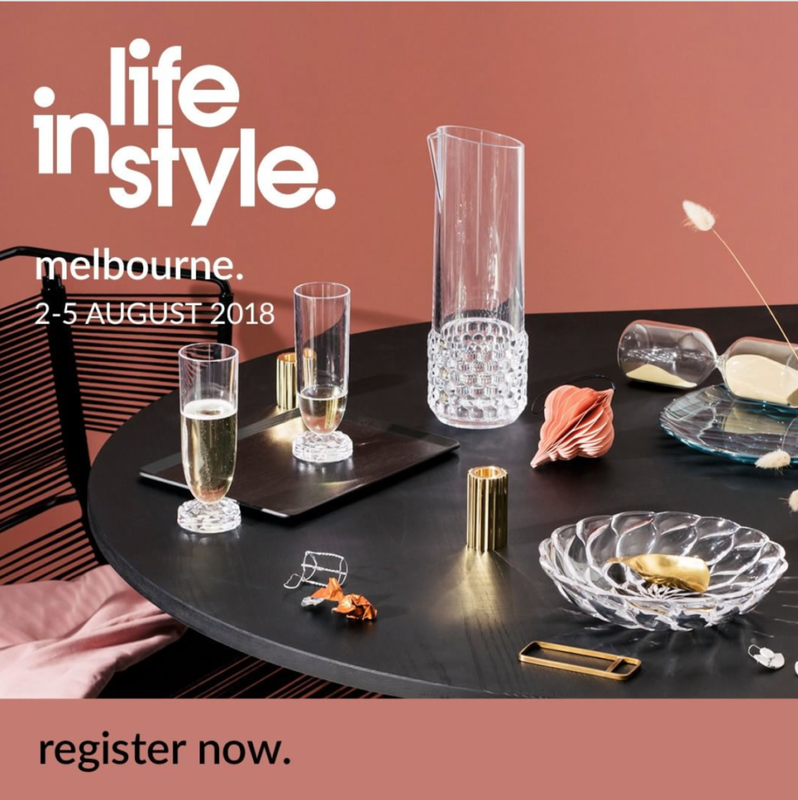 With help from my sister Madeleine, I did my first trade show in Melbourne where were took about 30 orders – which at the time felt huge! 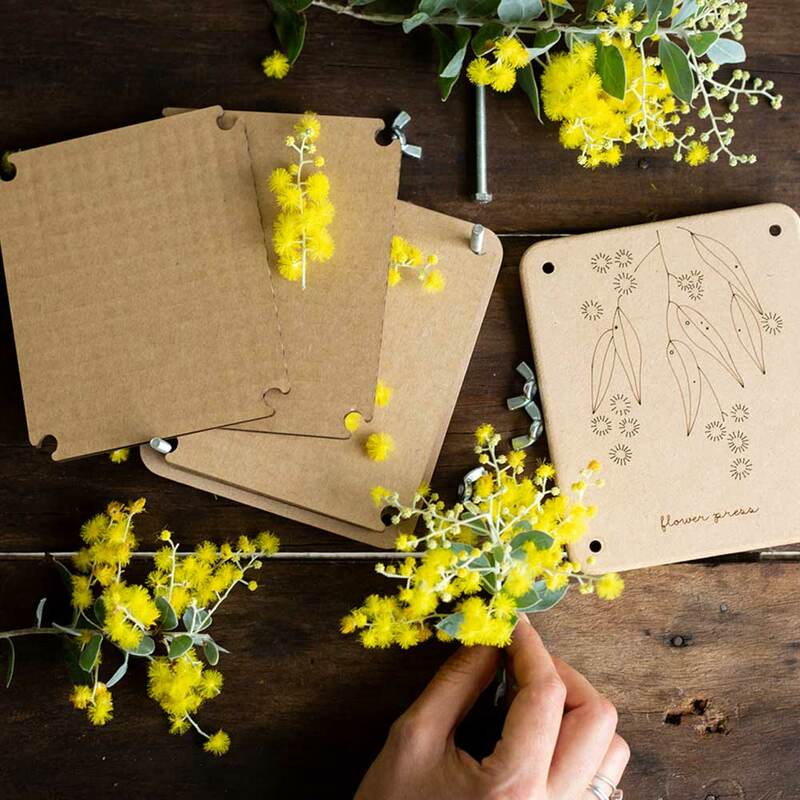 With a growing list of stockists and some experience in the industry I felt that the product needed some impovements, so I put an advertisement out for a designer and that’s how I met the designer and illustrator Daniella Germain. I loved her work, especially her beautiful cook books published by Hardy Grant. 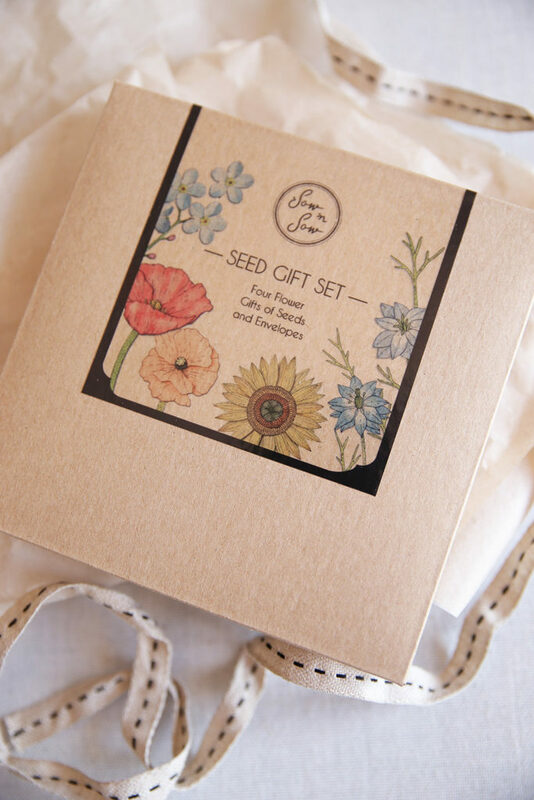 Daniella and I started working together on a big redesign of the Gifts of Seeds which we launched a few months later. That was back in 2012 and we’re still selling those exact designs today. We still work closely with Daniella and she’s become a dear friend too. 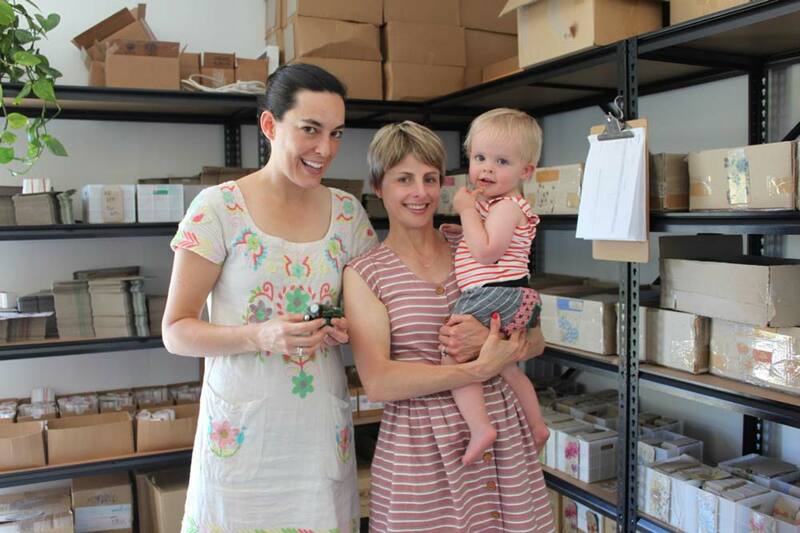 Michelle & Daniella with son Henry visiting the studio in 2016. 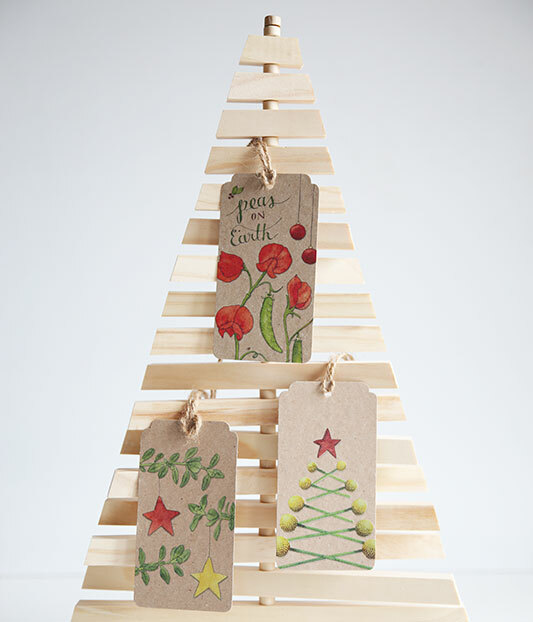 The weather is heating up, the Christmas parties have started and the last minute mad rush of gift purchasing has begun! We have received our last delivery of Flower Presses for the year and there is still stock available but it won’t last long so be quick if you would like to secure some. For delivery in time for Christmas, for Australian metro areas with regular shipping, please order by Monday the 17th of December. 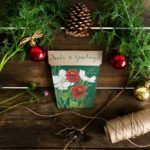 Express post is available right up until Thursday the 20th of December. We are taking a break and will be closed from Friday Dec 21 until Monday January 14. 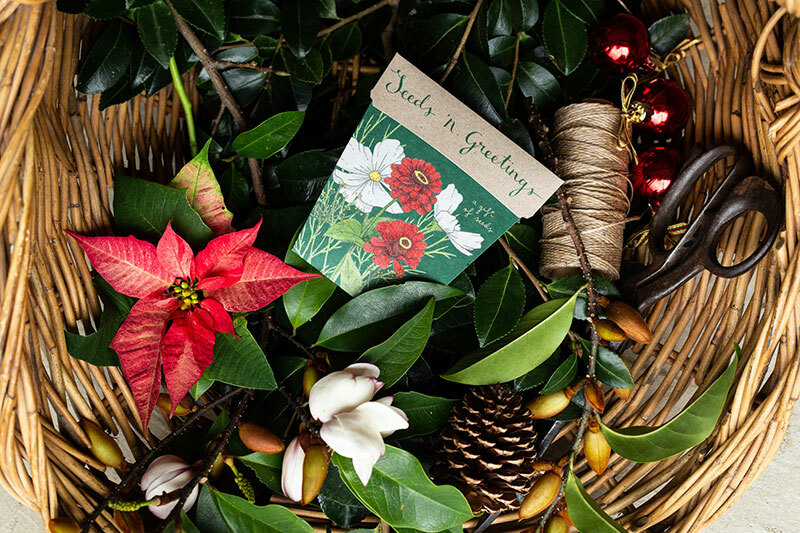 Sending massive thanks to all of our wonderful customers & stockists for a fantastic & very busy year. We hope everyone has a safe and fun filled Christmas & New Year. 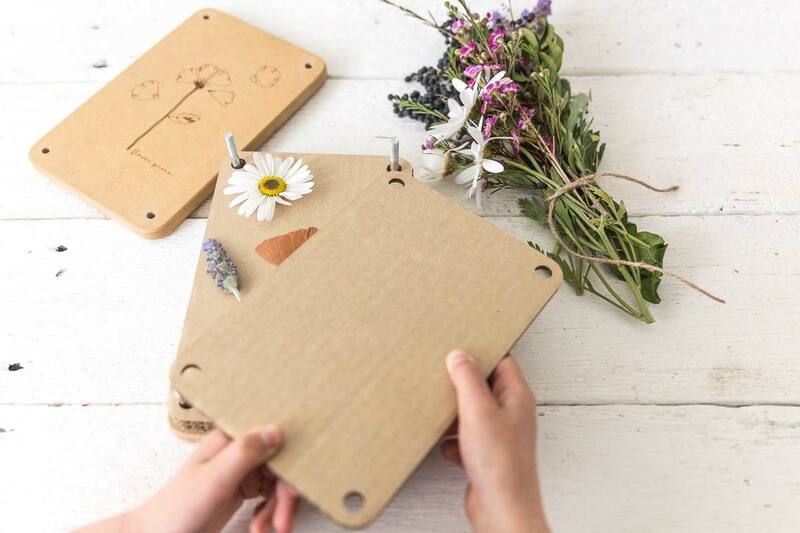 Sow ‘n Sow are thrilled to introduce our new Mini Flower Presses. Although we have had these for a while now, we have been unable to promote the product due to high demand and not enough stock! 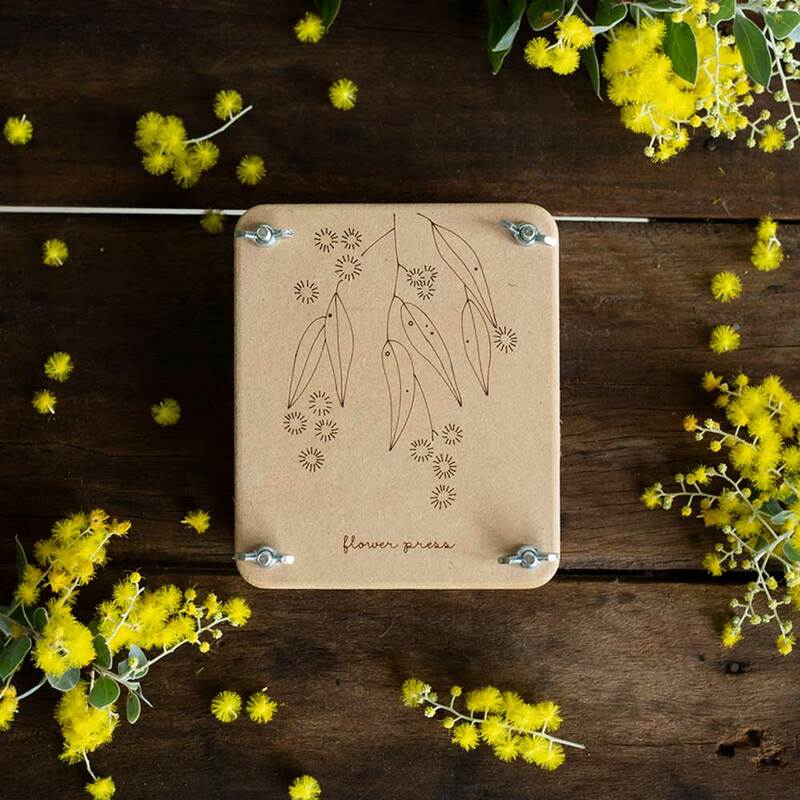 These beautiful presses are available in two designs, Golden Wattle or Posy. Beautifully illustrated, each press is hand crafted in Melbourne out of hard-wearing materials to ensure stable pressure & long-lasting use. 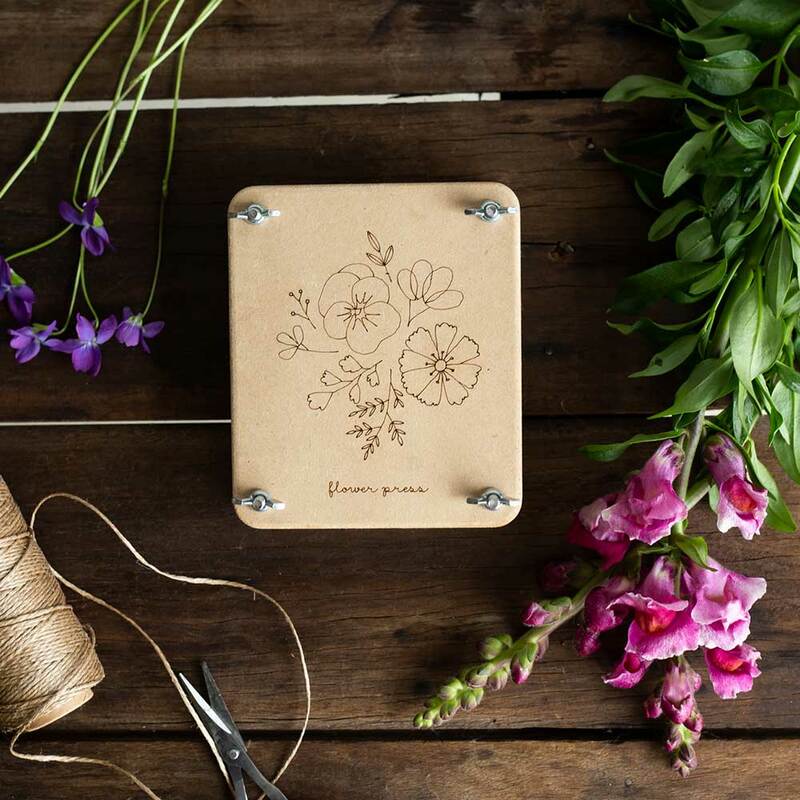 Flower Presses are used to eternalise the beauty of flowers and foliage and are sure to inspire creativity. 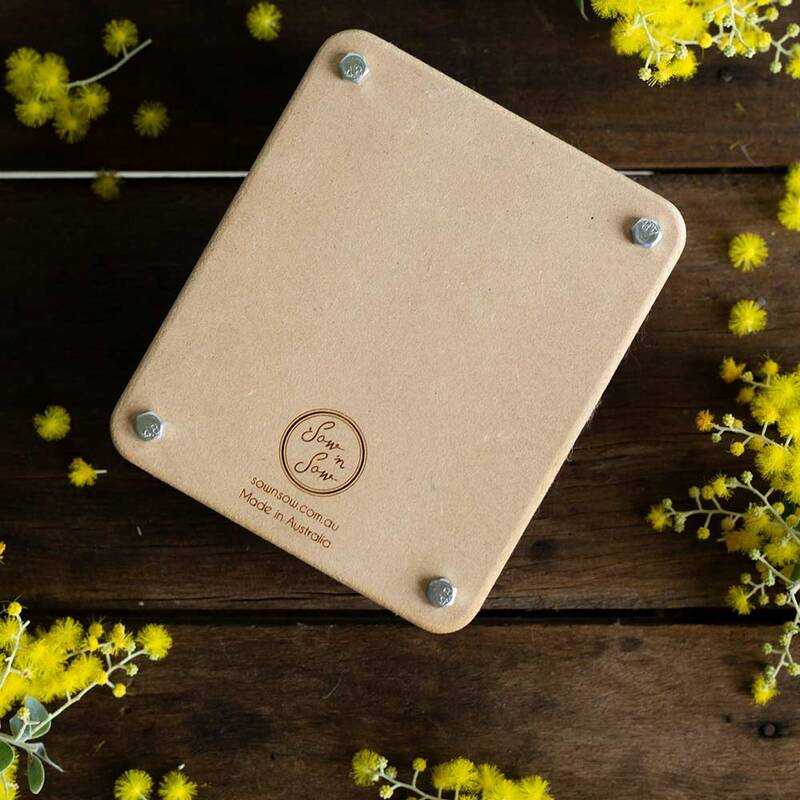 We are proud to provide long lasting, eco-friendly products that are made in Australia. We’ll be there! We’re in a different spot this time, stand 1334. 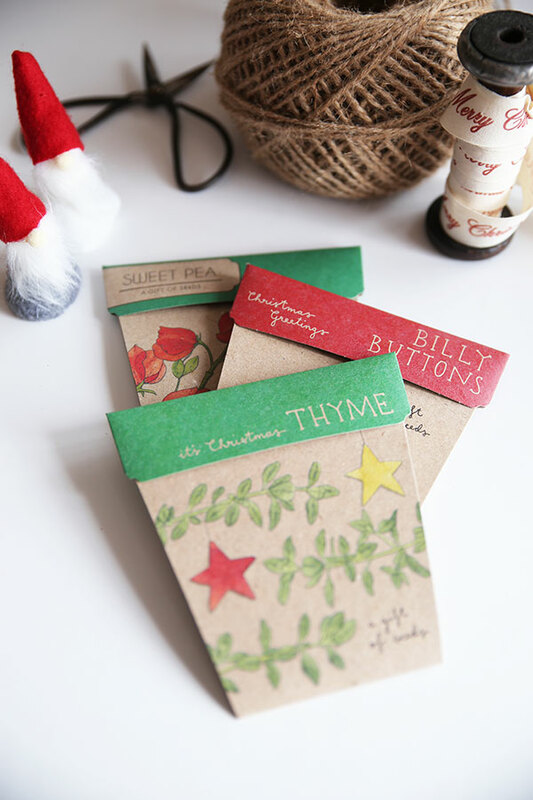 We’ve got 3 new Gifts of Seeds to show everyone plus some exciting new Flower Presses! And a few other new things. We look forward to seeing our existing stockists and meeting anyone interested in stocking our products.